Is Your Senior Cat or Dog Living With Persistent Pain? For most people, their pets are a member of their family. 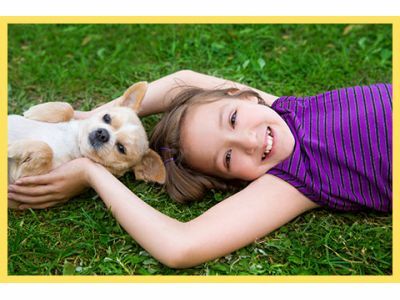 Pet owners want to do everything they can to ensure that their pets are happy and healthy. Like people, as pets age, they can begin to experience more health problems and even begin to have chronic pain. The problem is, it’s not always easy to tell if your cat or dog is in pain. There are a number of things you should look for to determine if your pet’s habits are just changing because they’re aging, or if there is a more serious problem that needs to be addressed. One of the most common and but hard to detect signs is over-grooming. For dogs, licking a joint of other spot on their body can provide them with some relief. Cats on the other hand can lick so much that they actually remove fur from affected areas. This change in behavior isn’t always noticeable, but in dogs there may be brownish discolored spots that pop up and as stated before, cats may experience hair loss. A couple other things to look out for are an increase in panting or a decrease in appetite. You pet may also have what seems to be mood swings. If your cat or dog is acting more timid or more aggressive than usual, it could mean that they’re in pain. Behavior changes in general may mean that your pet is ill or in pain. At Creature Comfort Veterinary House Call Services in Kalamazoo, we believe that having a mobile vet is the answer to many pet owners’ problems. Pet care may be put off too long because it’s hard for some families to make it to the vet during regular business hours. If you a pet who needs care, do not hesitate to contact us today!